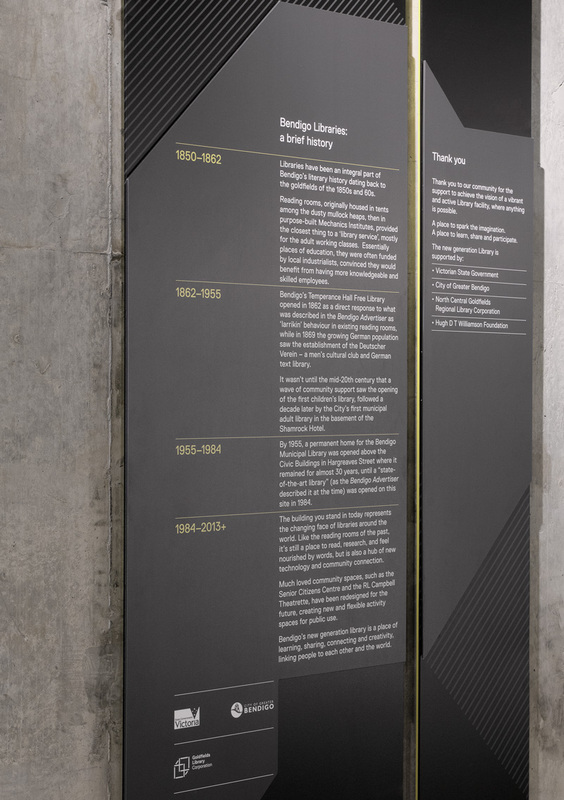 Hofstede Design (1996—2015) was Heath McCurdy, Wendy Ellerton, Hege Olsen, Andrew Tesdorpf, Paul Scanlon, Frits Bovill, Liz Cox, Sash Fernando, Tess Copeland, Sally Brownbill, Margaret Schmidt, Tim Royall, Ben Jennings, Tomas Sabbatucci, Paul Mylecharane and Dominic Hofstede. 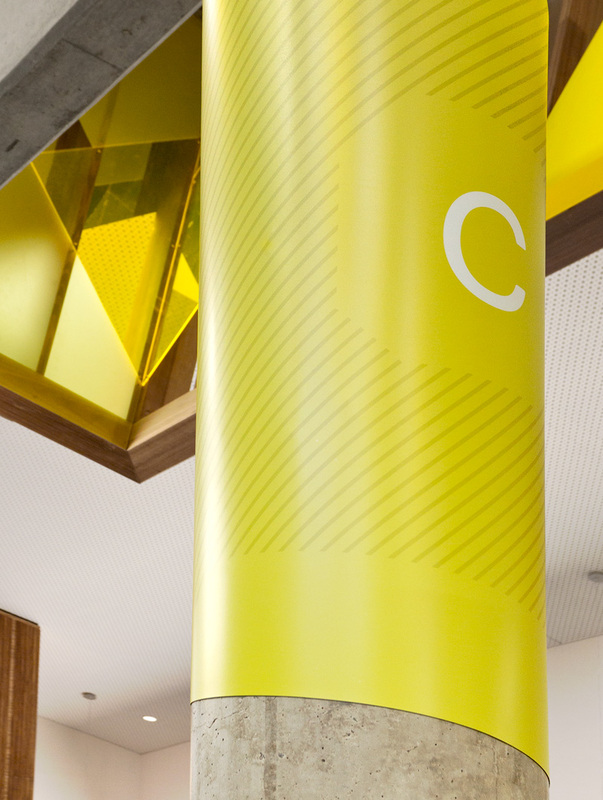 We also acknowledge the many clients, suppliers and colleagues who contributed to a rich and creatively rewarding two decades. 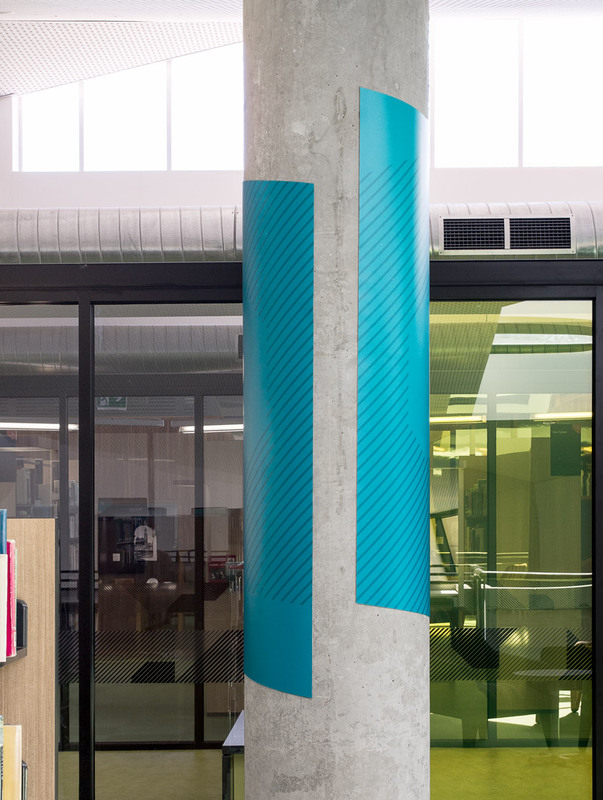 Dominic Hofstede is now the Design Director of Maud Melbourne. 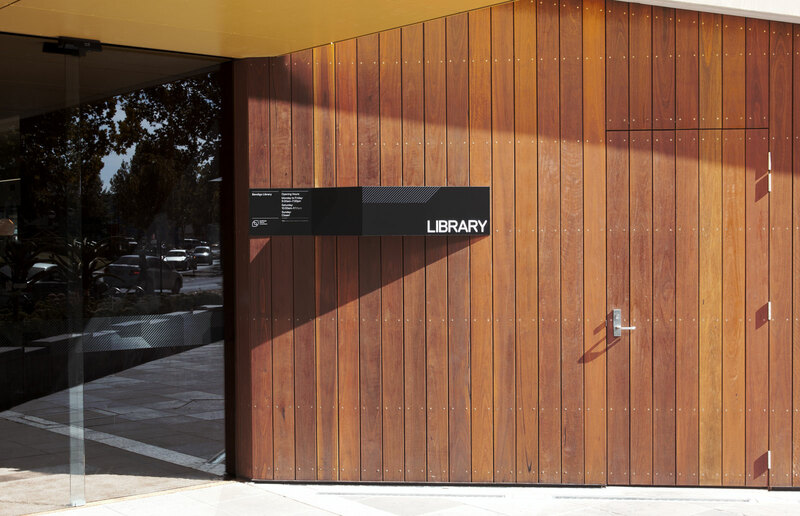 Click anywhere to view the archive. 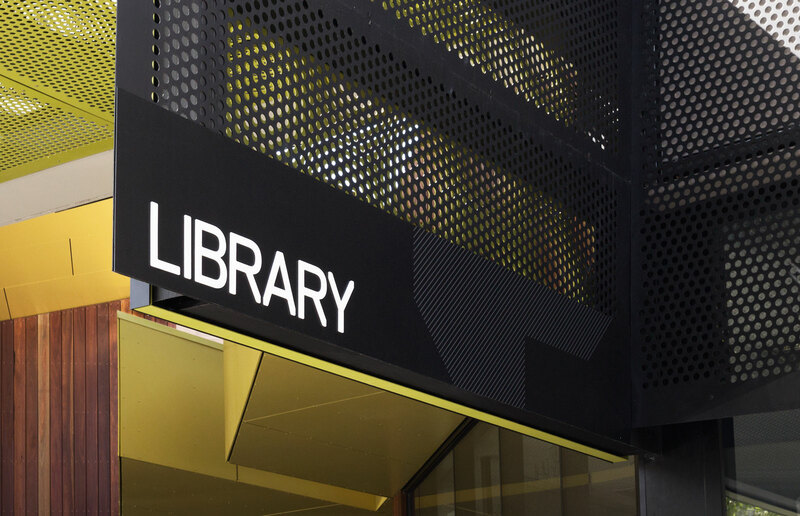 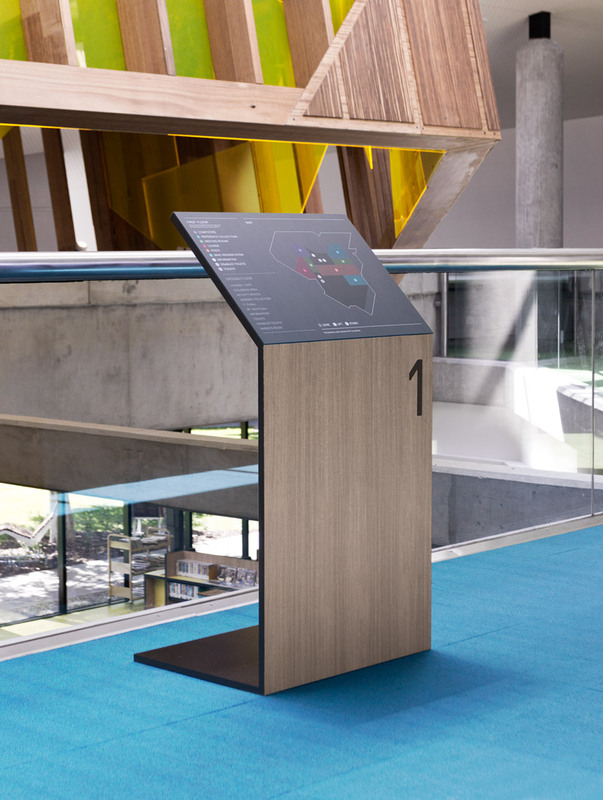 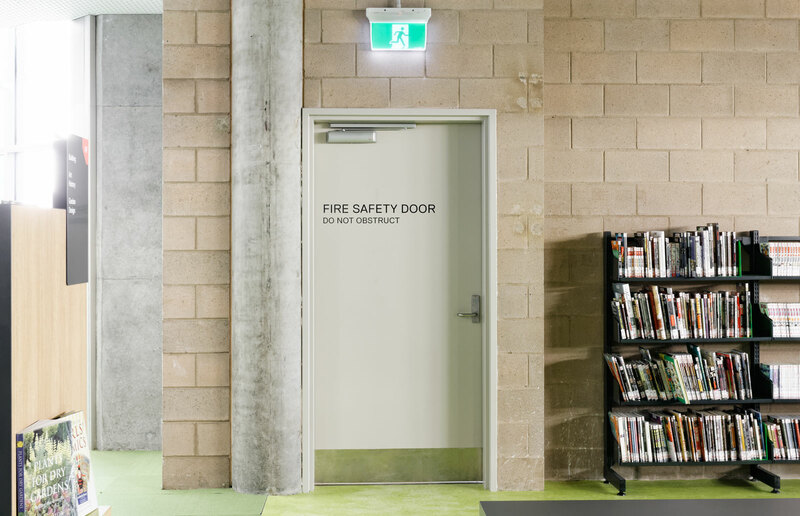 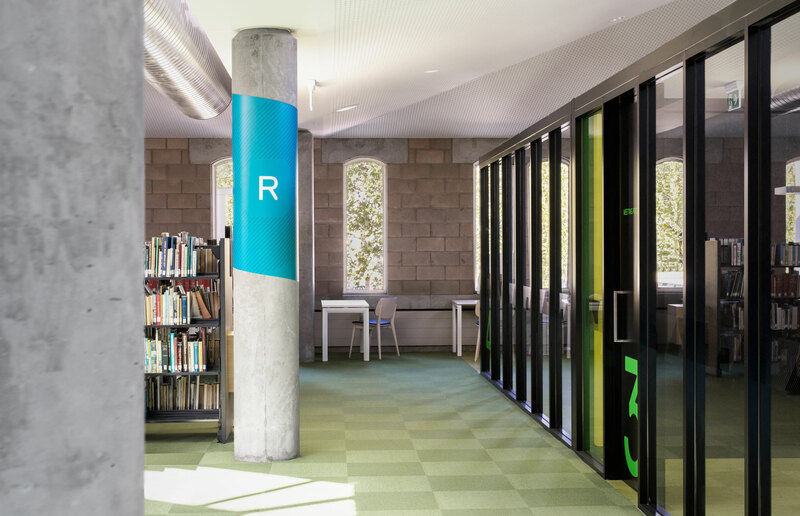 In late 2012 we were invited by MGS Architects to work on a signage system for a major redevelopment of the Bendigo Library. 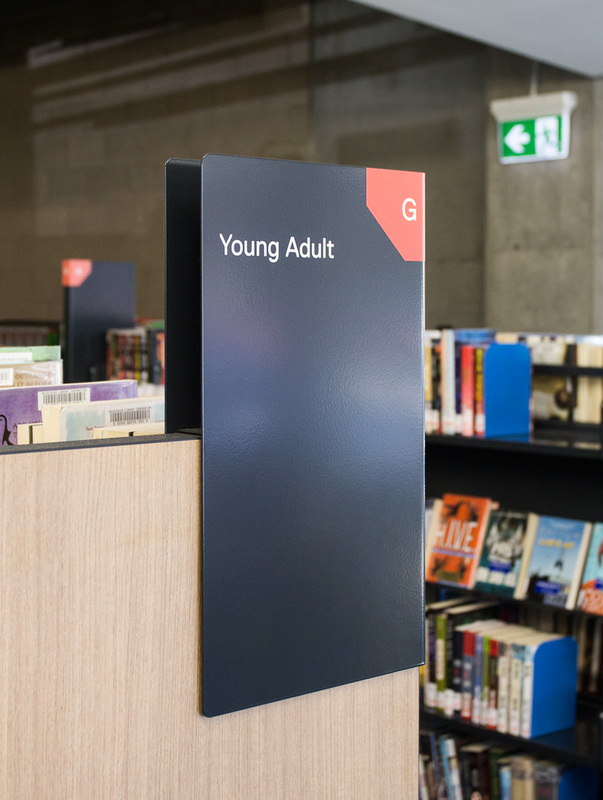 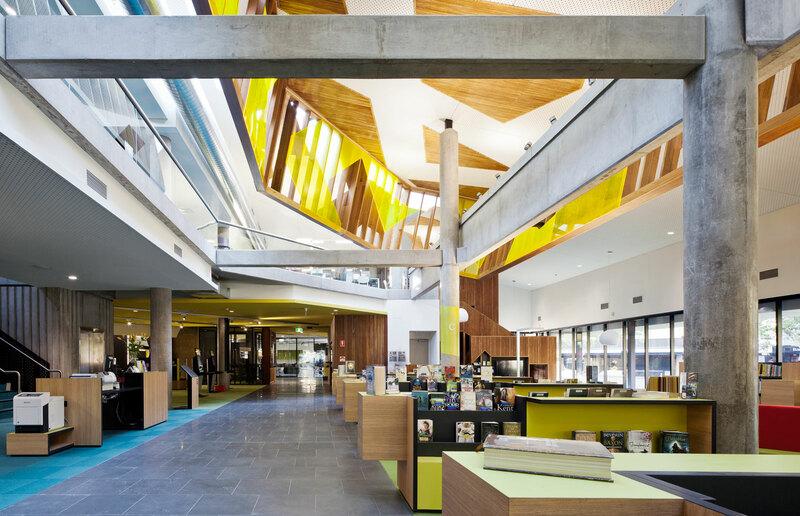 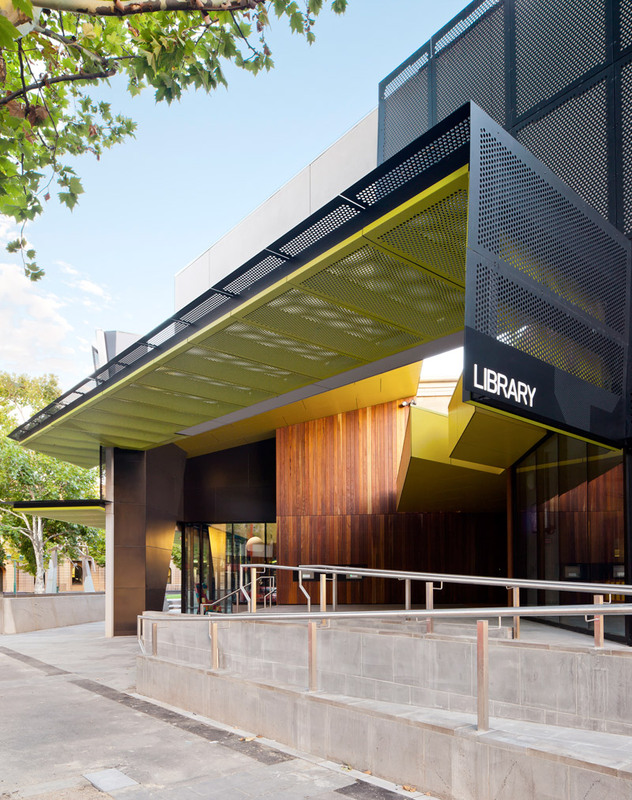 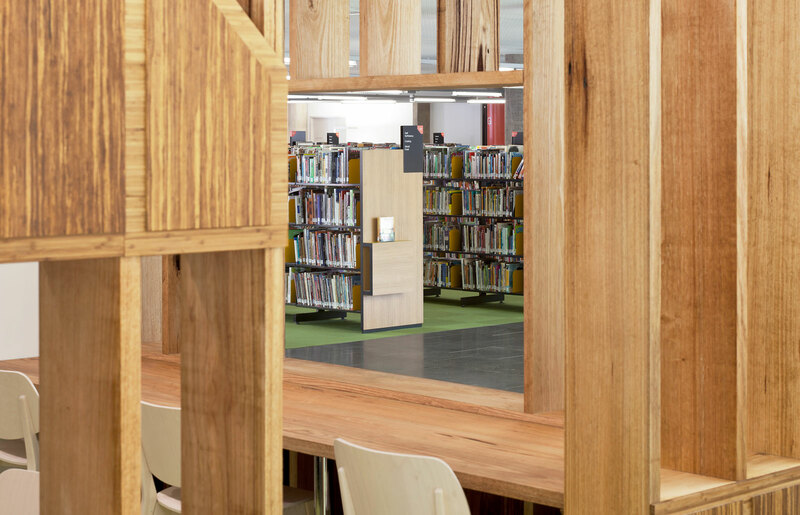 At a cost of over $9 million, the project was a substantial undertaking for its key stakeholders the City of Greater Bendigo, Goldfields Library Corporation and Victorian State Government. 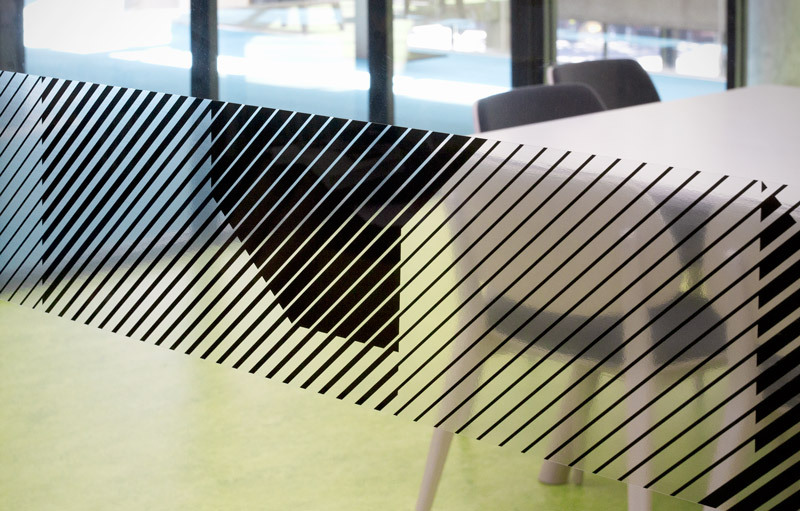 Navigating a successful course through the myriad of interested parties would prove to be a key component of our brief. 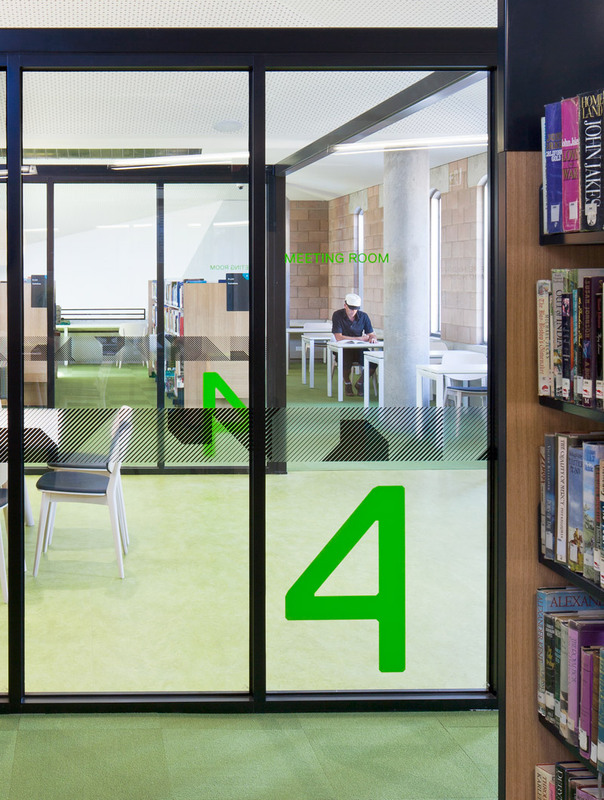 Drawing inspiration from MGS’s angular forms, and the library’s distinctive flat plan, we created a line pattern based on a 45 degree slant. 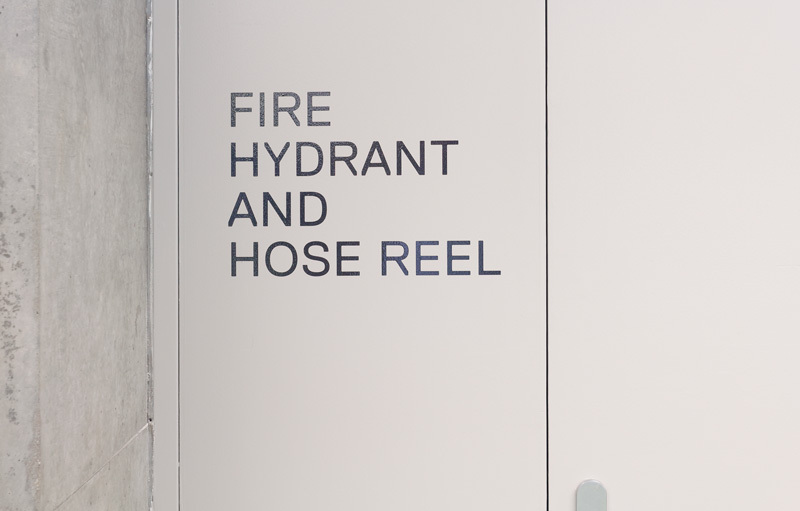 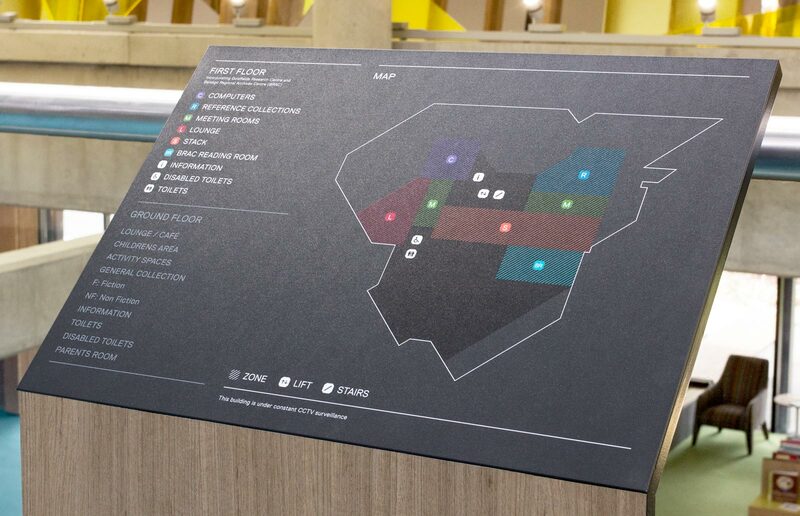 This element was then played out across a multitude of sign types encompassing wayfinding and statutory signs. 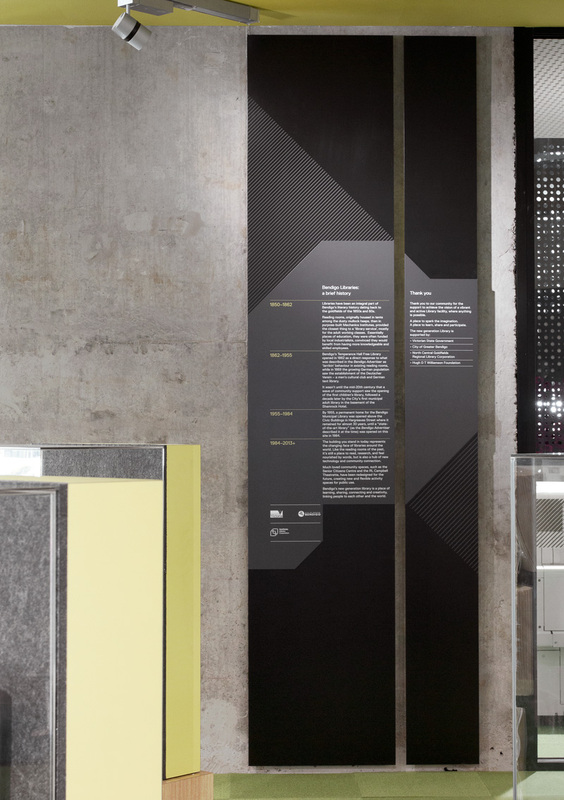 All the materials and colours specified were chosen to mirror the building’s internal and external architecture, an important aspect of such collaborative work.